Can't we all just co-op instead? Please stay behind the yellow line. The drama train is pulling into the station. Sven, a co-op mod for the original Half-Life, has been around for just under two decades. Earlier this year the much beloved mod got a free standalone release, an act that, as it turns out, would bring to light controversies building between the community and the development team. 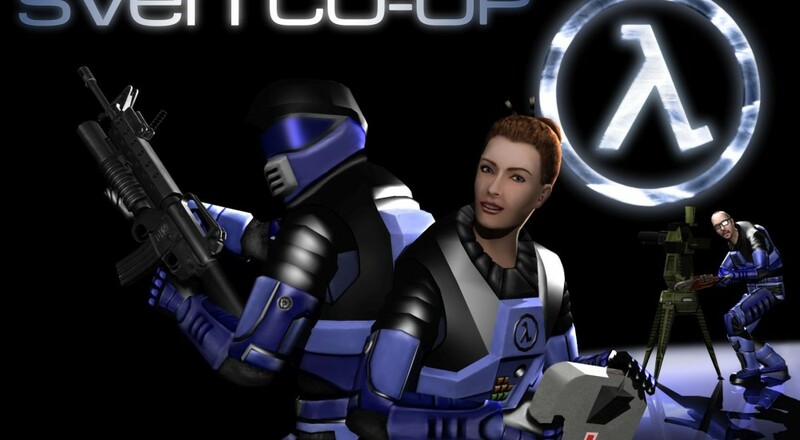 The Sven Co-Op mod first came about in the late '90s thanks to programmer Sven Viking. Viking would remain lead developer well into the 2000s, eventually passing the sceptre of power to developer Sniper. Sniper, it seems, began to rule over the project with an iron fist, dictating which issues should be worked on, ignoring community requests, and taking precious little feedback from the rest of the dev team. This started becoming a problem with version 5.0, the standalone release that rolled out in January 2016. Lag and game crippling bugs plague players left and right, including the infamous svc_bad bug that spontaneously drops entire teams from servers. Sniper refuses to work on these issues, despite outcry from the community. This is where Sven team member Solokiller enters the scene. Solokiller pursued issues the fans thought needed attention, and he did so with impressive speed. This created friction between himself and the rest of the development team, especially Sniper, who claimed Solokiller was getting too power hungry. Solokiller left the team shortly after, but he continued to offer assistance to the community. As it stands, the Sniper-run development team does its own thing, ignoring player issues and just generally treating the fans like they don't matter. Solokiller did his part to bridge that gap, but Sniper wouldn't have it. The issues are still very much alive, and no clear resolution is in sight. For now, the fans are rallying in support of the game they love, hoping everyone can just get along and play some co-op Half-Life. A more detailed version of this story can be found on the #savesvencoop thread on Reddit, complete with archived IRC and forum conversations. Page created in 1.2009 seconds.